Jurnal Hubungan Internasional diterbitkan oleh Program Studi S1 Ilmu Hubungan Internasional FISIP-UNMUL sebagai media publikasi ilmiah dalam rangka pengembangan ilmu pengetahuan di bidang Administrasi Publik. Terbit 3 kali dalam satu tahun. 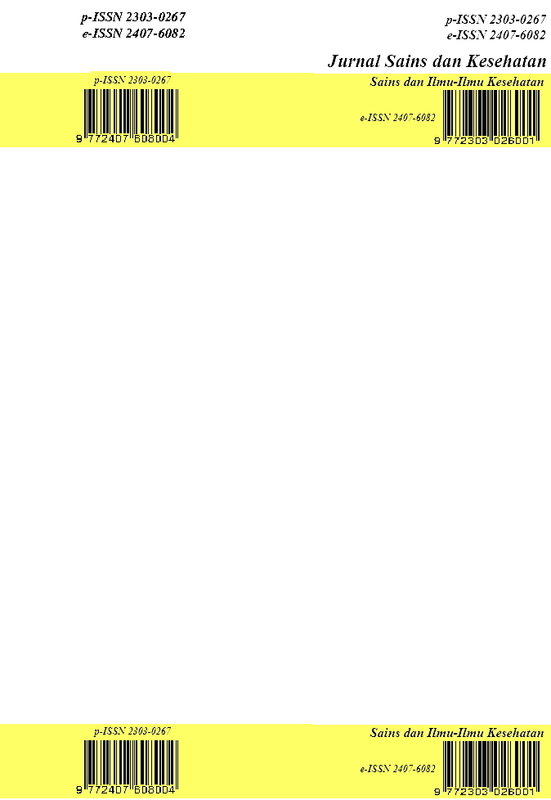 ISSN 2337-895x. 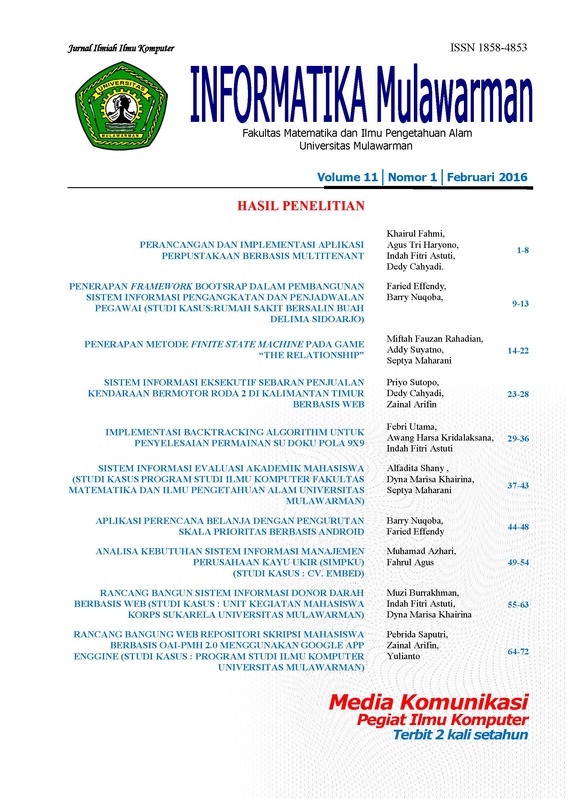 Publikasi artikel hasil penelitian bidang Ilmu Ekonomi. Terbit 2 kali dalam 1 tahun (April & Oktober) ISSN : 0216-7786 Diterbitkan oleh Program Magister Ilmu Ekonomi Fakultas Ekonomi dan Bisnis Unmul. The International Journal of Social Forestry (IJSF) has been established and launched. IJSF is a peer reviewed scientific journal focusing on social aspects of forest management, community-based management of forest-related resources, forest governance and policy. It is published biannually in June and December. We warmly welcome your exploration of our IJSF web pages and hope that you feel comfortable enough to contact us at any time with your queries. 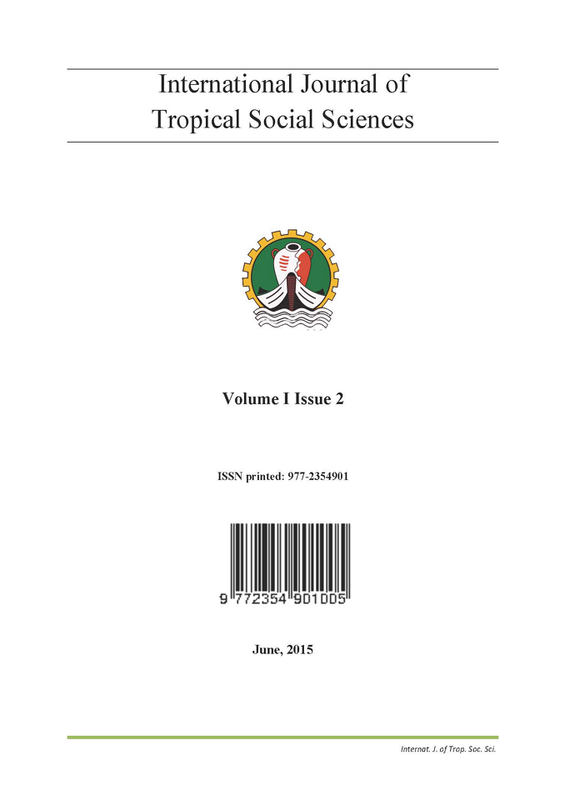 The International Journal of Tropical Social Sciences will receive research articles in the field of social, economy, and education sciences from respective subject/courses. IJTSS is aimed to produce two issues in one volume per year hosted by International Affairs Office, University of Mulawarman. The International Journal of Tropical Natural Sciences will receive research articles in the field of natural sciences from respective subject/courses. 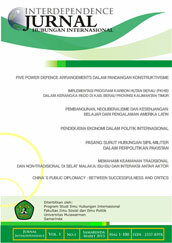 IJTNS is aimed to produce two issues in one volume per year hosted by International Affairs Office, University of Mulawarman. 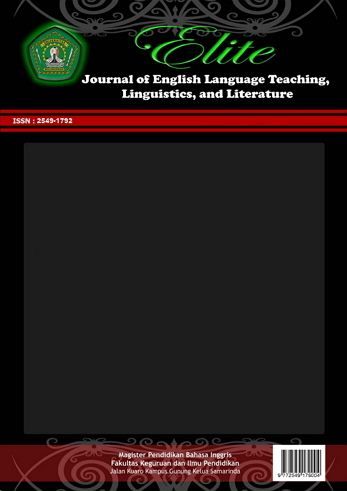 ELITE (Journal of English Language Teaching, Linguistics, and Literature) ISSN : 2549-1792 is published two-times a year on January and July in English-language, peer-reviewed, online journal published by Magister Pendidikan Bahasa Inggris, Faculty of Education, Universitas Mulawarman, East Kalimantan - Indonesia. It provides an academic platform for professionals and researchers to contribute innovative work in the field. 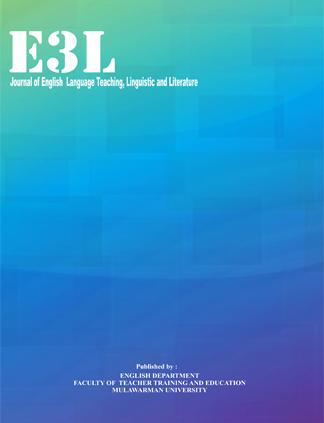 The journal is published online, and the online version is free access and download. Jurnal Risalah Hukum (JRH) Merupakan sarana bagi peneliti di bidang ilmu hukum untuk mempublikasikan karya-karya penelitiannya berupa artikel, riset maupun opini yang berbasis kajian akademis. Diterbitkan pertama kali pada tahun 2011 dengan periode terbit setahun dua kali di bulan Juni dan September. Redaksinya bernaung di bawah Fakultas Hukum Universitas Mulawarman. 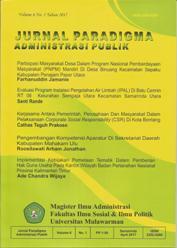 Jurnal Beraja Niti (JBN) Merupakan sarana bagi peneliti di bidang ilmu hukum untuk mempublikasikan karya-karya penelitiannya berupa artikel, riset maupun opini yang berbasis kajian akademis. Diterbitkan pertama kali pada tahun 2011 dengan periode terbit setahun dua kali di bulan Juni dan September. Redaksinya bernaung di bawah Fakultas Hukum Universitas Mulawarman. Jurnal Sains dan Kesehatan (JSK) Merupakan sarana bagi peneliti di bidang ilmu-ilmu kesehatan untuk mempublikasikan karya-karya penelitiannya berupa artikel, riset maupun opini yang berbasis kajian akademis. Diterbitkan pertama kali pada tahun 2015 dengan periode terbit setahun dua kali di bulan Juni dan September. Redaksinya bernaung di bawah Fakultas Farmasi Universitas Mulawarman. 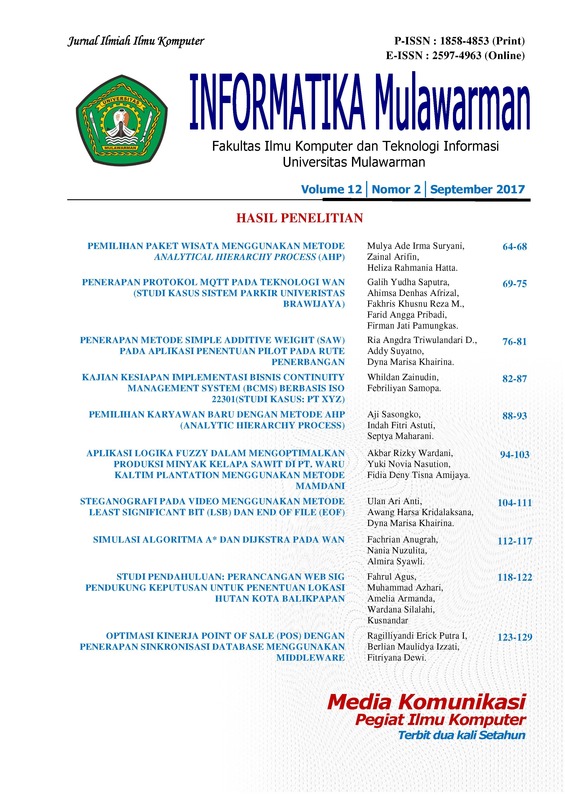 Jurnal Ilmu Budaya dikelola oleh Fakultas Ilmu Budaya Universitas Mulawarman sebagai media publikasi hasil penelitian mahasiswa Fakultas Ilmu Budaya Universitas Mulawarman. Jurnal ini diterbitkan sebanyak 4 (empat) kali dalam setahun, yaitu bulan Januari, April, Juli, Oktober, dan diterbitkan secara daring. 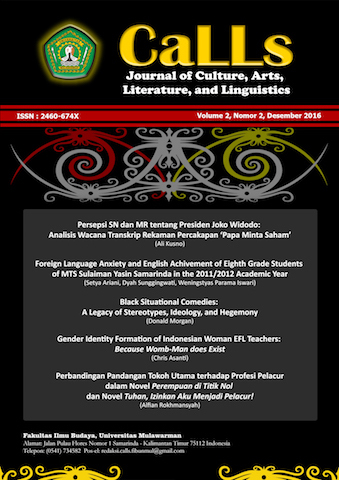 CaLLs (Journal of Culture, Arts, Literature, and Linguistics) published by Fakultas Ilmu Budaya Universitas Mulawarman and published in June and December every year. CaLLs welcome articles and research reports utilizing an interdisciplinary approach to the study of culture. The object materials of the study may include aspects of language/linguistics, literature, arts (music and traditional arts). 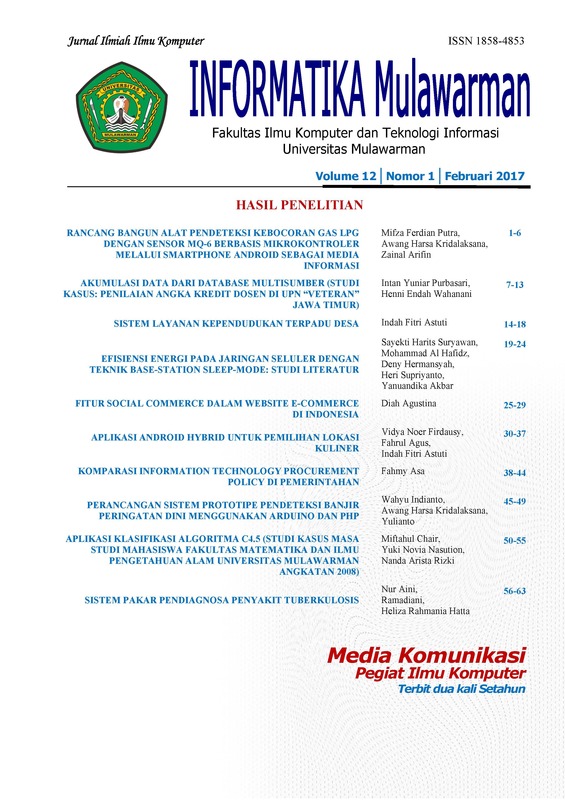 Informatika Mulawarman : Jurnal Ilmiah Ilmu Komputer (JIM) Is a means for researchers in the field of computer science to publish his research works. First published in 2007 with a two-yearly published period in February and September. Editorial Board Informatika Mulawarman consists of lecturers of computer science in the field of diverse concentration of expertise among others Software Engineering, Information Systems, Network and Computer Security, Image Processing, Multimedia, fuzzy logic, human interface and Artificial Intelligence. 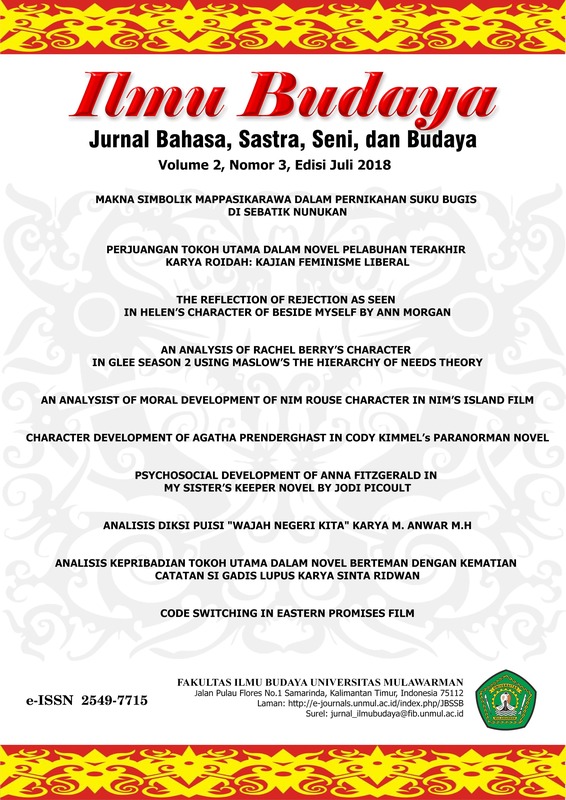 Until now, Journal of Informatics Mulawarman has been published as many as 13 volumes (Volume 13 issue 2 September 2018). For those interested in participating in JIM Volume 14 issue 1 February 2019 may submit the paper through our OJS. For Information and Services editorial information please contact jim.unmul@gmail.com no later than August 10, 2018, in addition, you can also prepare your paper for next edition of JIM. 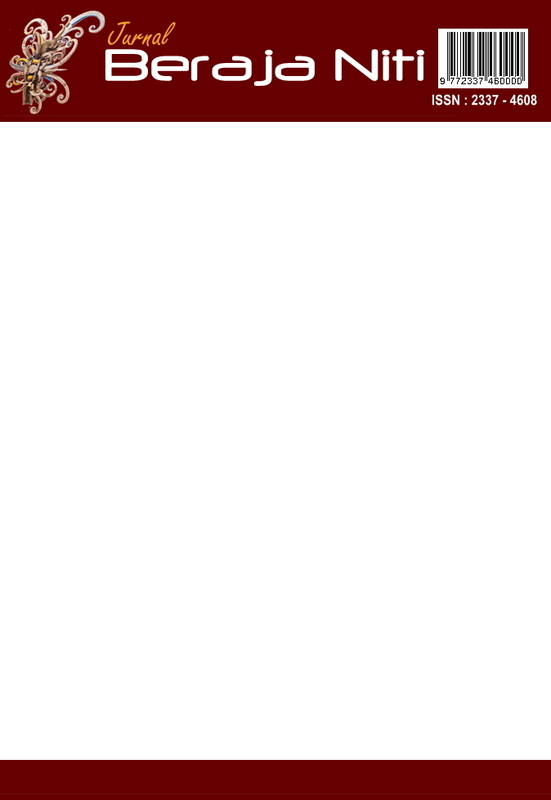 Every published article has Digital Object Identifier (DOI) by according to issue and article number. Already have a Username/Password for Informatika Mulawarman?